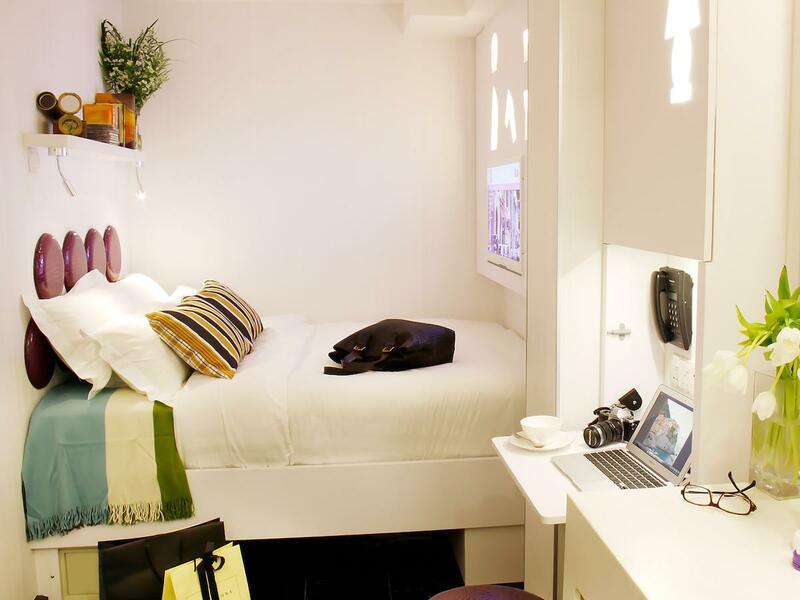 Learn how you can spend less than S$120 per day, including accommodation! 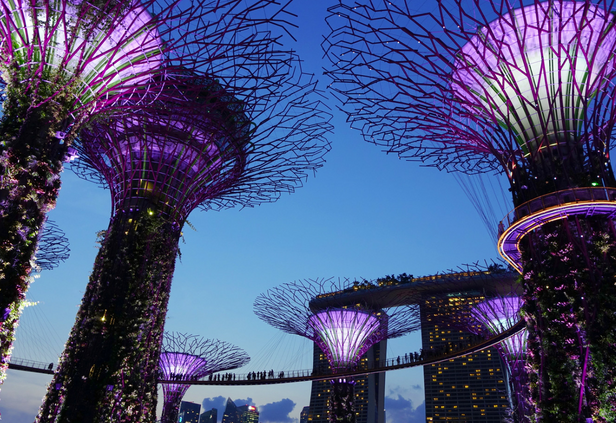 Even with a small population of 5.66 million as of 2018, Singapore has been gaining quite a bit of attention lately. 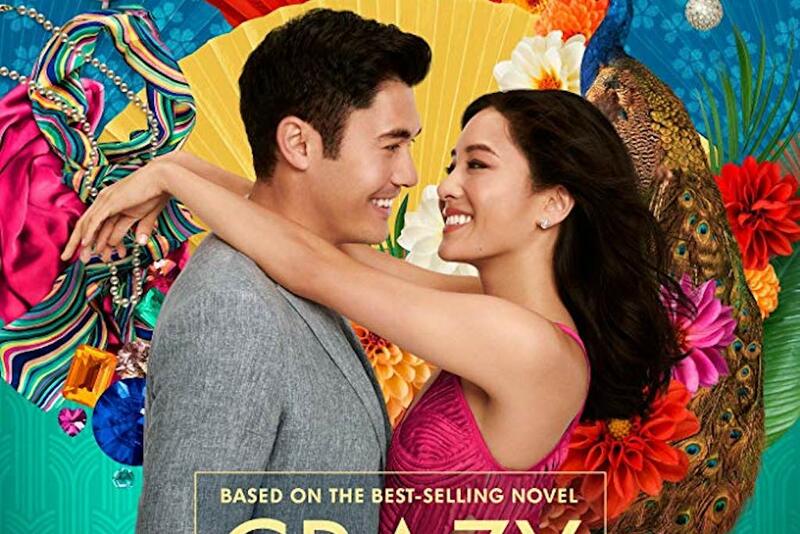 Playing host country of the historical Trump – Kim Summit and also being featured in the Crazy Rich Asian film, she has proven itself to be a clean, harmonious and mighty nation. To date, this Little Red Dot is the 5th most visited country in Asia and ranks 28th in the list of countries where tourists outnumber locals. The locals themselves often quote the food, cleanliness and safety (i.e. no natural disasters) as some of the best parts of residing here. Over the years, this country has accumulated many attractions and places of interest to spark their tourism industry. With so many sites worth visiting coupled with the stunning city skyline, it is no wonder everyone is planning a trip here. 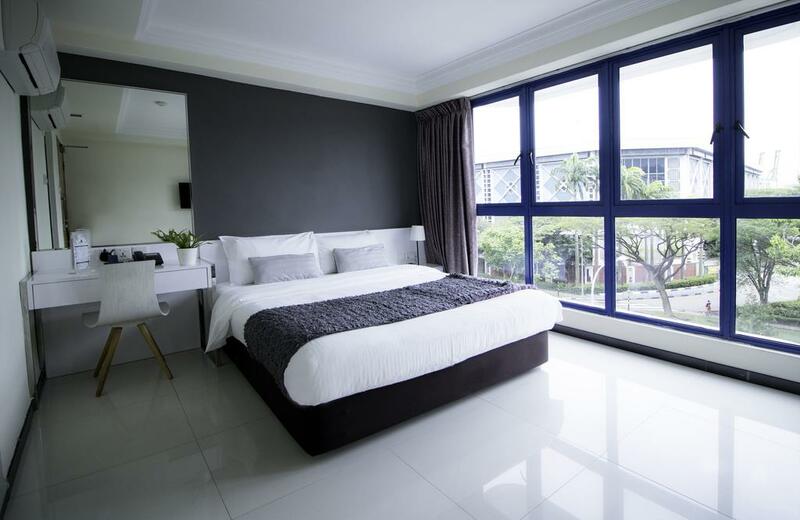 This guide brings you a detailed budget itinerary for 3 days and 2 nights in Singapore, and suggestions of other attractions you may visit if you have extra cash to spare. 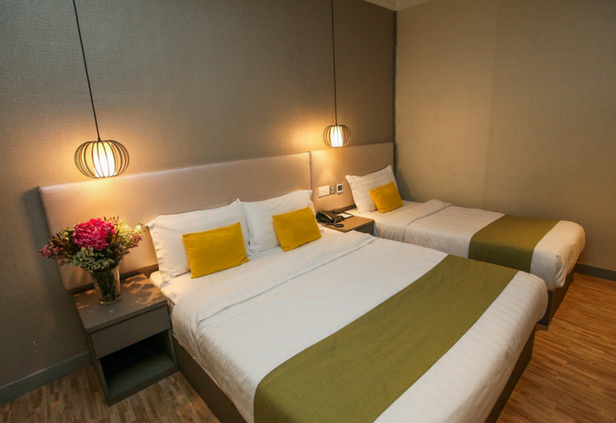 Stay tuned to the end for quality budget hotels and money saving tips to help you meet your desired budget! How to get there: To get to Sentosa Island, you first have to take the Mass Rapid Transit (MRT) to Harbourfront MRT station via the Northeast Line (NE1) or Circle Line (CC29) and take Exit E to VivoCity. Thereafter, you have many ways of getting to Sentosa, depending on your budget and the amount of time you can spare. Alternatively, you can walk in through the Sentosa Boardwalk. Head over to the waterfront promenade of the VivoCity Shopping Mall, follow the boardwalk and enjoy the garden trail. Another way to get in is to cycle via the 3 cycling routes designed by Sentosa to cater to your preferences. You may pick your desired route depending on the viewpoints along the route and difficulty of the route. Head to the 3rd floor of VivoCity to catch the Sentosa Island Monorail Express into Sentosa. There are 4 stations in total – Sentosa Station, Waterfront Station, Imbiah Station and Beach Station. Other ways to get to Sentosa include taking the cable car, public bus, hiring a private vehicle or calling for a taxi. You can even take a shuttle bus from Our Tampines Hub as well. Visit the Sentosa website to find out about the other ways to get into Sentosa. What to do there: You can take a stroll down popular beaches such as Tanjong, Palawan and Siloso Beach. 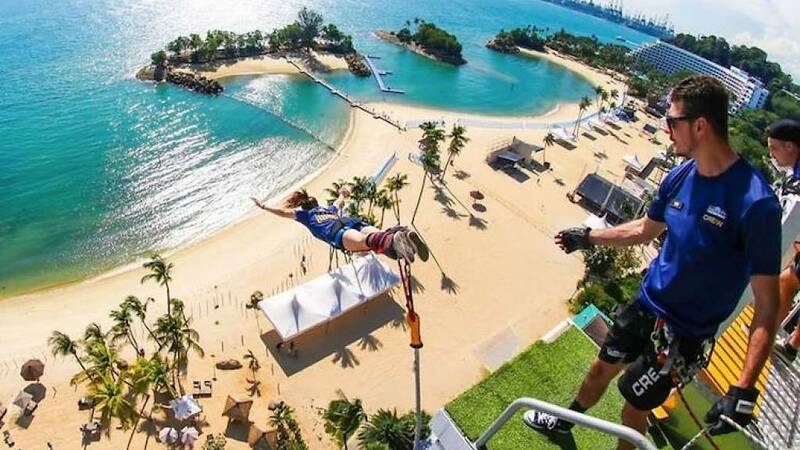 If you are an adrenaline junkie, the iFly Singapore and Mega Adventure Park would be ideal for your trip! Otherwise, a relaxing option of exploring the island would be to go on a Gogreen Segway® Eco Adventure. 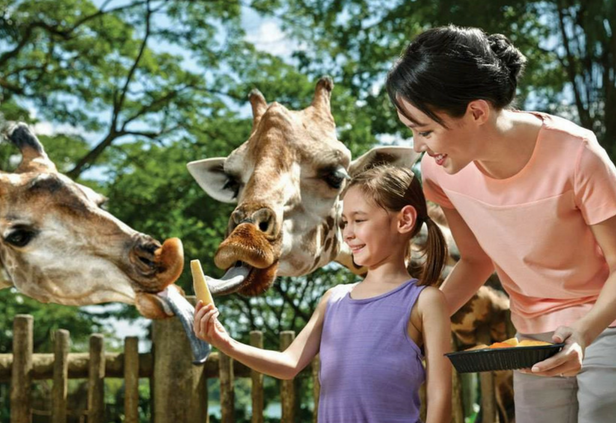 With the endless attractions and dining options at Sentosa, you are sure to have a lot of fun with your travel buddies! How to get there: Alight at Raffles Place MRT station via the East-West Line (EW14) or North-South Line (NS26) and take Exit A. You will reach Merlion Park in 10 minutes’ walk. 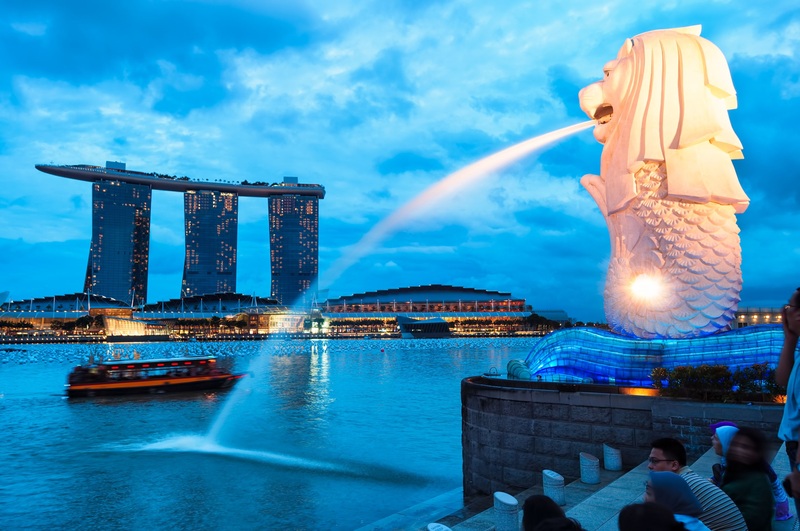 What to do there: The Merlion is the official mascot of Singapore, which is a mythical combination of a lion and a fish. Take pictures of the iconic Merlion during the day and beautiful Singapore skyline at night. 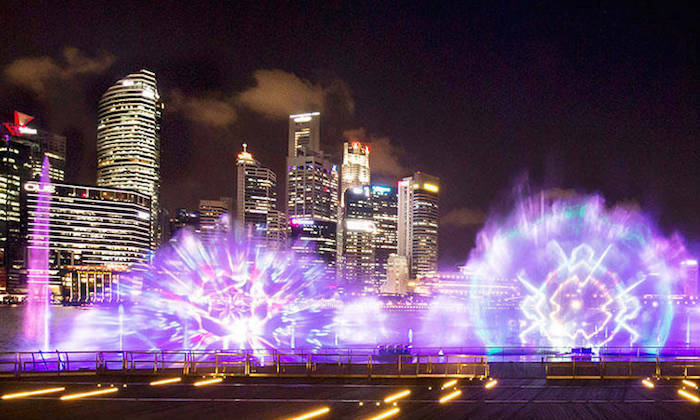 Furthermore, you can catch Spectra – a mesmerising 15-minute outdoor light and water show just outside Marina Bay Sands. This show features 4 different acts that illustrate Singapore’s journey towards becoming a harmonious multicultural and modern city. It takes place every Sunday to Thursday at 8pm and 9pm and every Friday and Saturday at 8pm, 9pm and 10pm. Before you head over, be sure to check if there are any changes in showtimes. How to get there: Alight at Bayfront MRT station via the Downtown Line (DT16) or Circle Line (CE1) and take Exit D to The Shoppes at Marina Bay Sands (MBS). 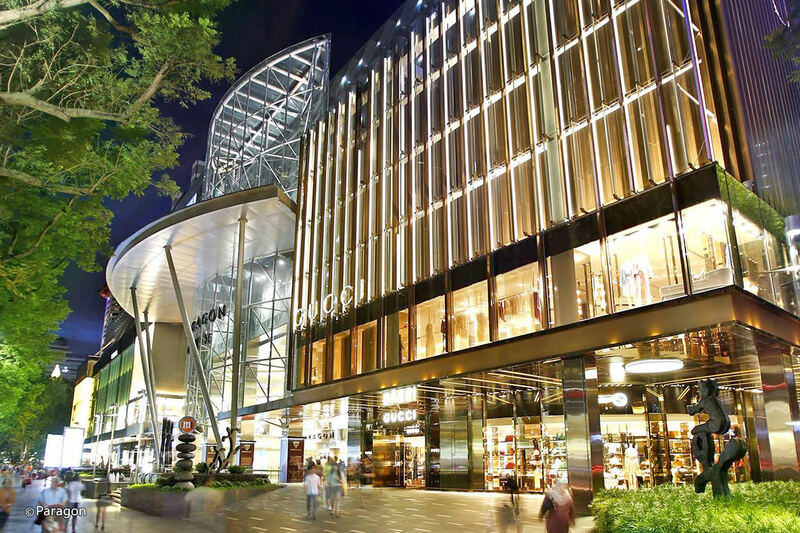 What to do there: As one of the largest luxury shopping malls in Singapore, The Shoppes at MBS houses the most prestigious brands that will give you your much-needed dose of retail therapy. You could, of course, also choose to window shop and take some Instagram-worthy photos while waiting for the Spectra show to begin. 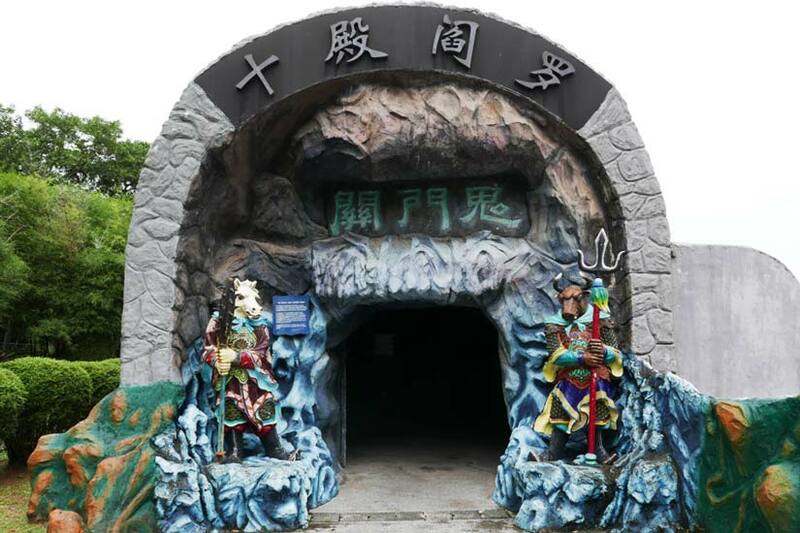 How to get there: Alight at Haw Par Villa MRT station via the Circle Line (CC25) and take Exit A to Haw Par Villa. What to do there: This attraction is not for everyone as it is known to be a nightmarish theme park. 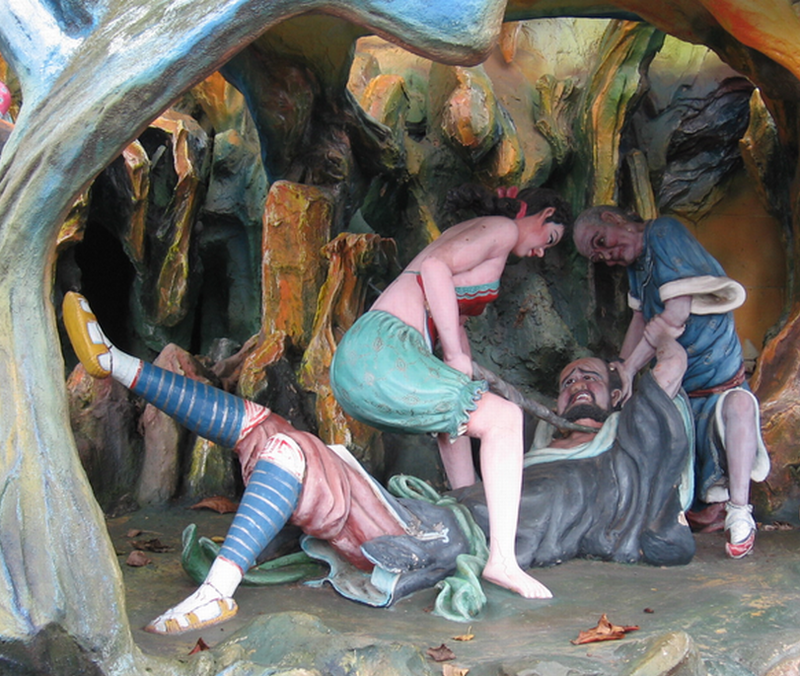 Featuring meticulously designed statues to help you understand Chinese folklore and mythology better, Haw Par Villa is best known for its gruesome Ten Courts of Hell. If you are up for it, the admission is free, and you can take photos here. 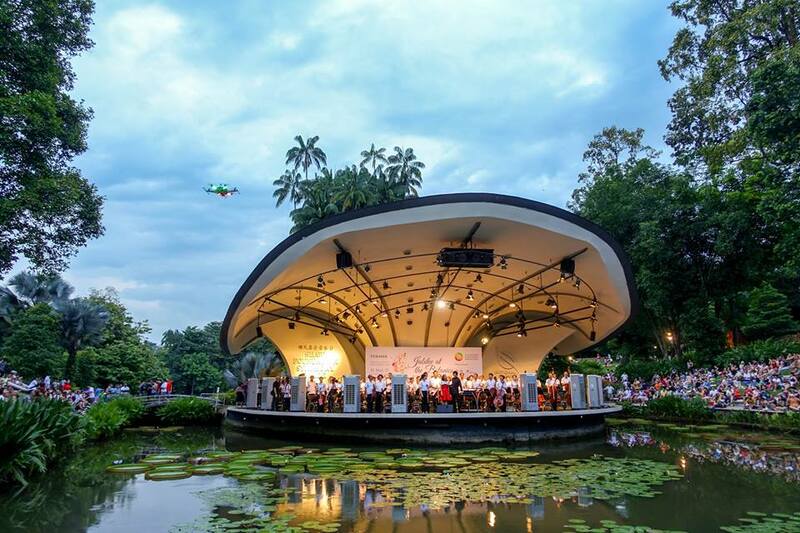 How to get there: Alight at Botanic Gardens MRT station via the Downtown Line (DT9) and take Exit B or via Circle Line (CC19) and take Exit A towards Bukit Timah Road. In approximately 15 minutes’ walk, you will reach Botanic Gardens. 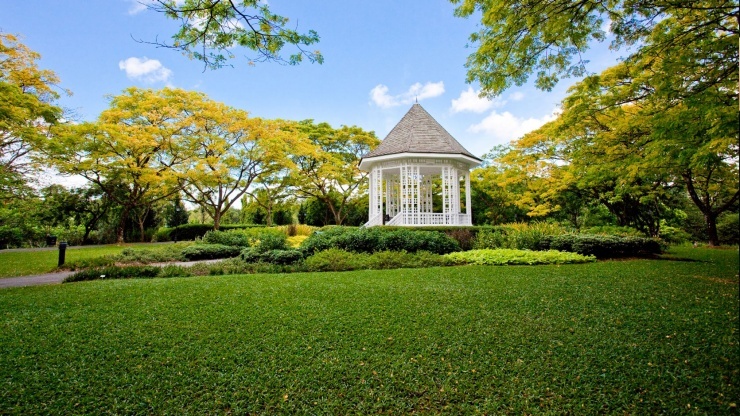 What to do there: Having made it as a UNESCO World Heritage Site, the Singapore Botanic Gardens is the first and only tropical botanic garden on the UNESCO’s World Heritage List. This captivating garden allows you to take a stroll to unwind, take lots of photos for memory sake and bask in the warm morning sun. If you are lucky enough, you may even get to watch free concerts held regularly at the Shaw Foundation Symphony Stage. For constant updates on current events and shows, stay tuned to Npark’s website. How to get there: Alight at Orchard MRT station via the North-South Line (NS22). 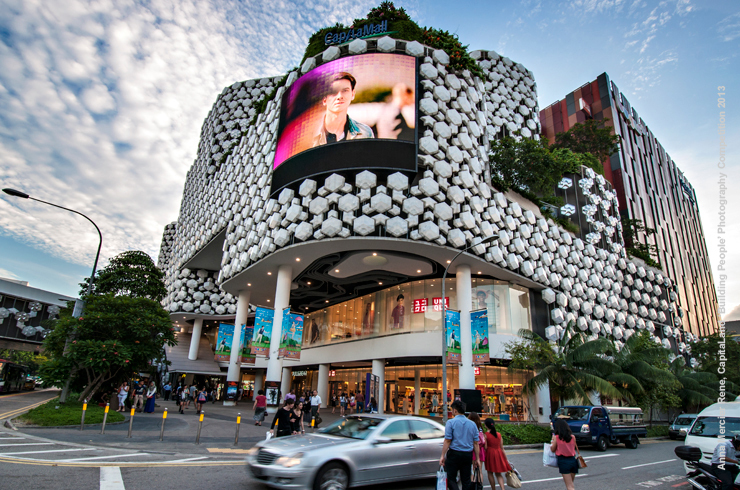 What to do there: Located in the Central District, Orchard Road is the busiest shopping street in Singapore filled with many of the most popular malls such as Paragon Shopping Centre, ION Orchard, Wisma Atria and Ngee Ann City. Join in the bustling crowds and have a feel of Singapore’s vibrant city life just by strolling down the entire street. Spanning across 2.2km, you will be spoilt for choice with the many retail, dining, accommodation and even entertainment options for you to enjoy limitless hours of fun. How to get there: Alight at Chinatown MRT station via the Northeast Line (NE4) or Downtown Line (DT19). 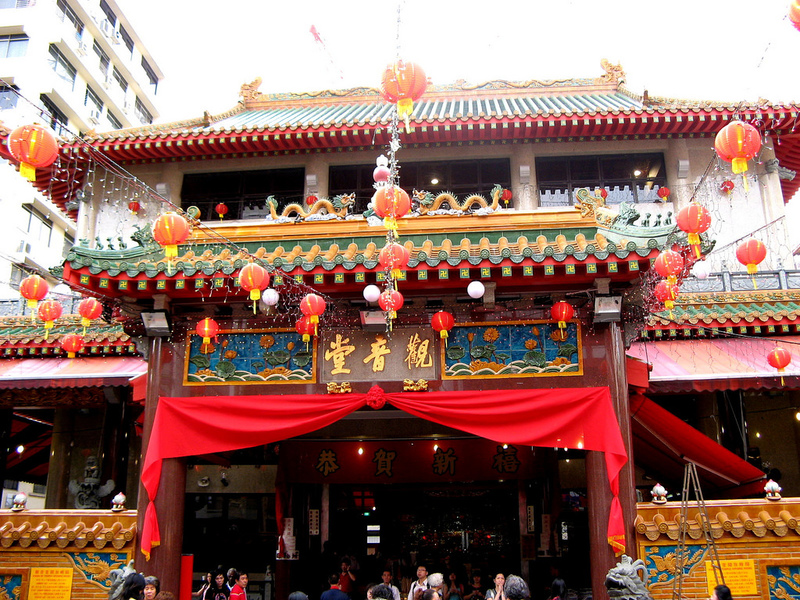 What to do there: Chinatown is one of Singapore’s heritage areas that highlights Chinese cultural elements. 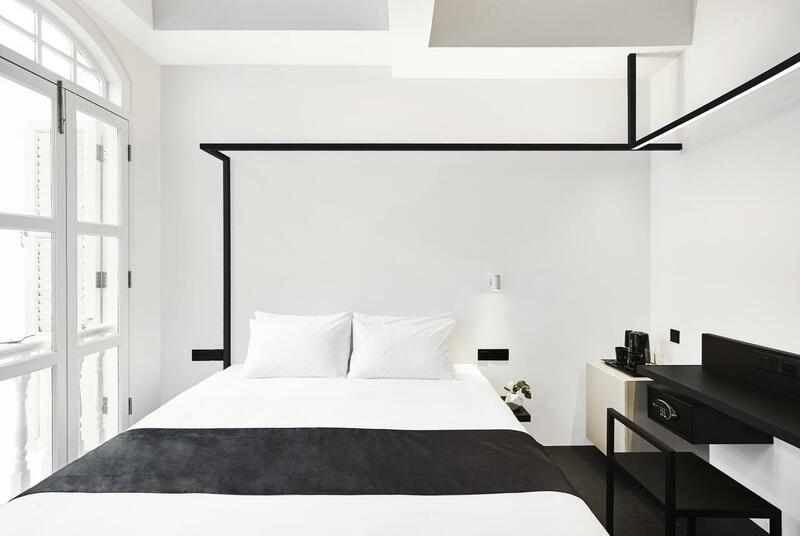 With a historically Chinese-concentrated population in this district, you will be able to indulge in the festive mood of their small streets, while exploring old complexes and enjoying authentic Chinese cuisine. 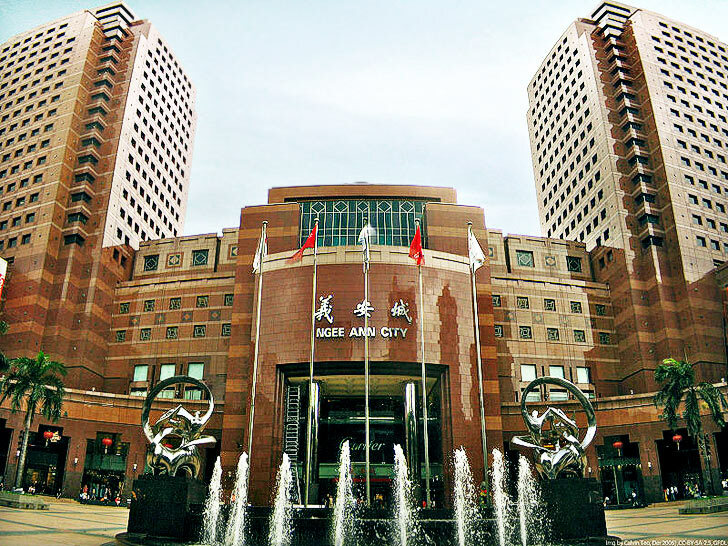 Popular sites include Chinatown Point and People’s Park Complex. 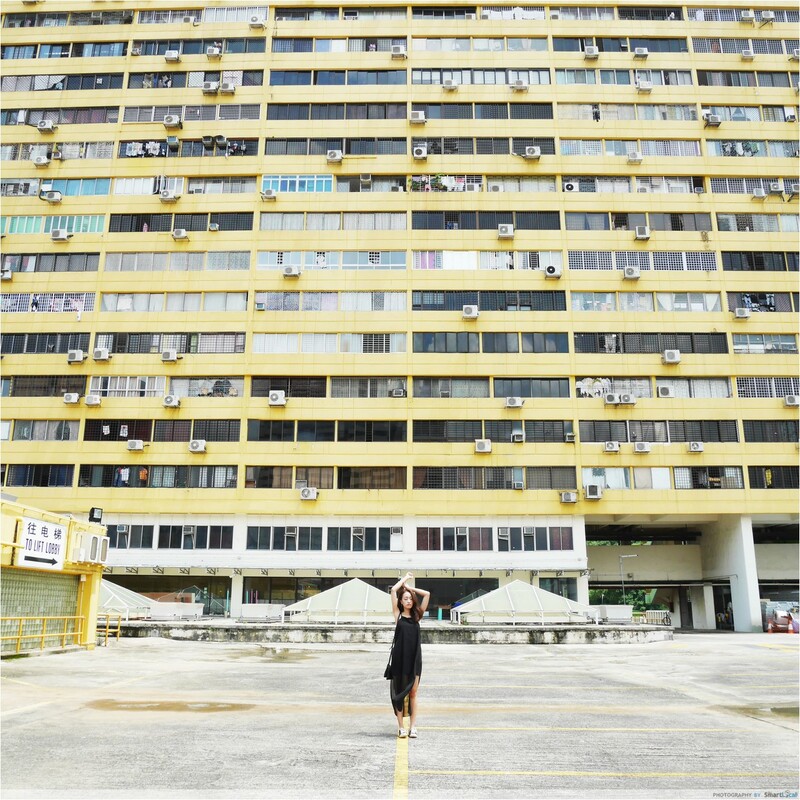 Go to the top level of People’s Park Complex to get instagrammable shots. It is located at the top level of the carpark. Also, there are many other sites around, such as temples, that can serve as instagrammable backdrops as well. How to get there: Alight at Chinatown MRT via the Northeast Line (NE4) or Downtown Line (DT19) and take Exit A. You will reach the food street on Smith Street in about 5 minutes’ walk. 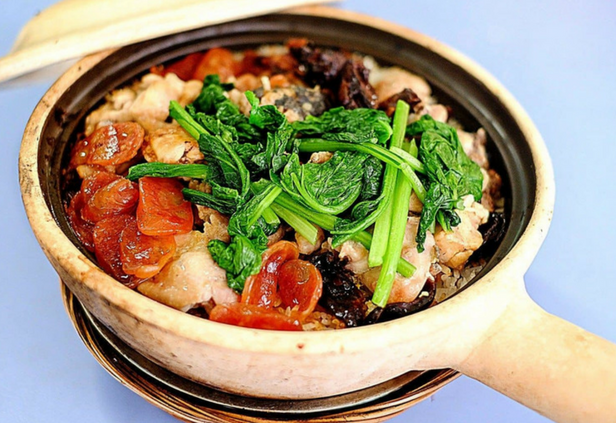 What to do there: If you are looking for cheap and authentic local food, Chinatown Food Street is the place for you. Recent renovations have seen to the installation of a roof and cooling system, making this food street a viable spot to visit regardless of the weather. 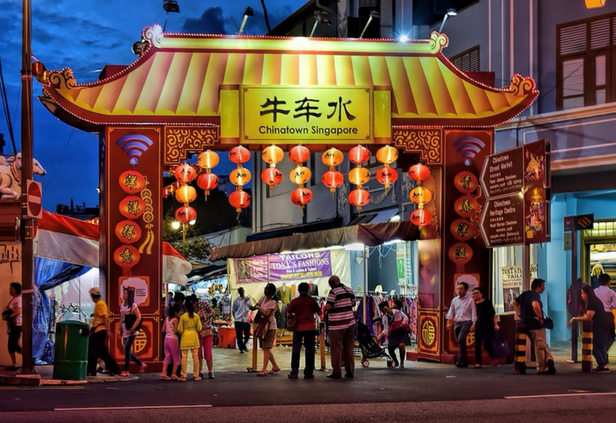 There are a variety of stalls available here to showcase unique delicacies from Singapore, China and other parts of Asia. 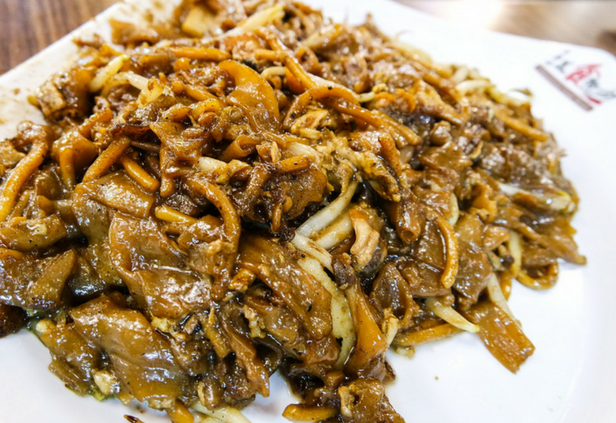 Some must-try foods are Hainanese Chicken Rice, Fried Oyster Omelette, Roasted Duck Rice, Kway Teow Mee and Hokkien Mee. 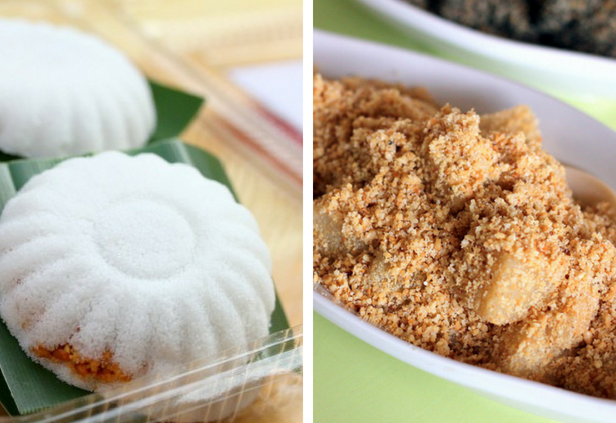 Pair these delights with a glass of sugar cane juice, Bandung or Teh Tarik to complete your scrumptious meal. How to get there: Alight at Bugis MRT via the East-West Line (EW12) and take Exit C or Bencoolen MRT via Downtown Line (DT21) and take Exit A. What to do there: Sri Krishnan Temple was built on Waterloo Street back in 1870 and has gone through many refurbishments since then. 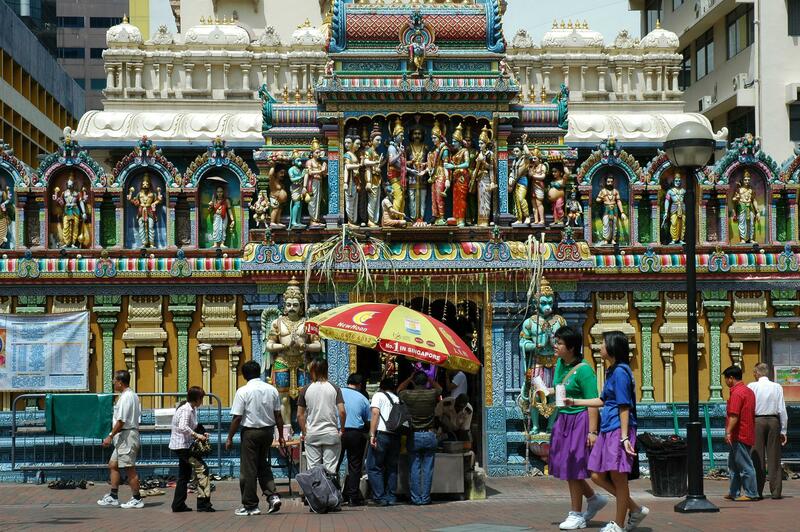 To date, it is still the only South Indian Hindu temple in Singapore dedicated exclusively to Sri Krishna and his partner Rukmini. It holds many Hindu cultural components and is an educational avenue that attracts tourists across all religions and ethnic groups to understand the history behind it. 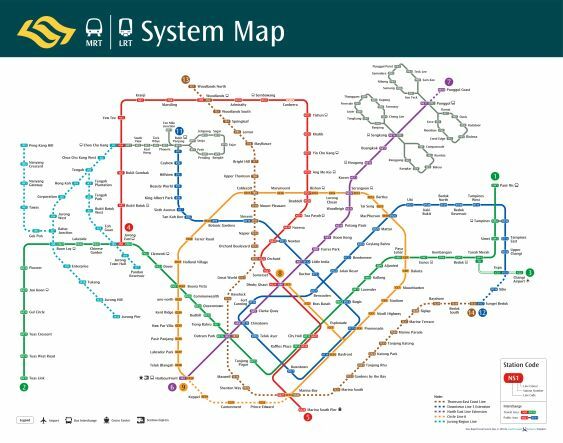 How to get there: Alight at Bugis MRT via the East-West Line (EW12) and take Exit C or Bencoolen MRT via the Downtown Line (DT21) and take Exit A. 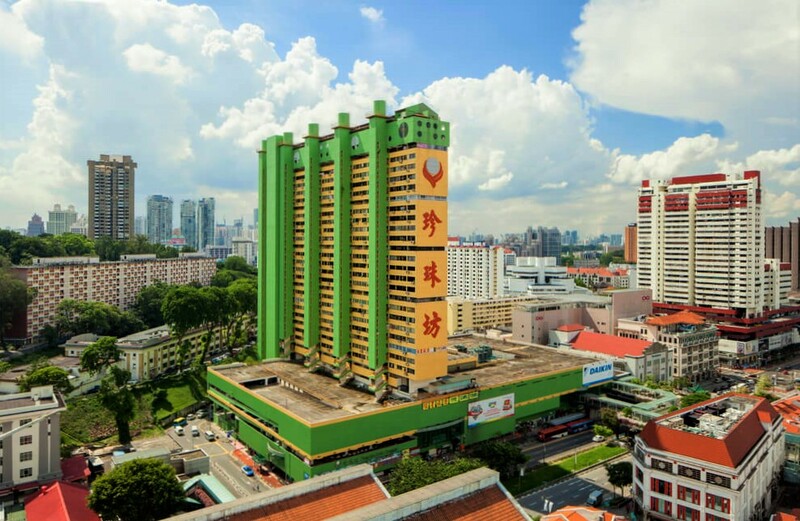 From Bugis MRT Exit C, cross the road and walk through the Bugis Street village until you see the Albert Court Food Centre on your left. Turn left and walk till Sri Krishnan Temple – Kuan Yin Thong Hood Cho Temple is just beside it. What to do there: Being one of the oldest Buddhist temples in Singapore, Kuan Yin Thong Hood Cho Temple is a popular temple for devoted Buddhists to pray as well as for tourists to tour and admire the architecture. If you wish to take a peek into your future, you can request for a can of Qian, which are wooden sticks with words on them. The sticks that fall out when you shake the can will predict your future. To cater to tourists, these divination sticks come with English translations so you can interpret them easily. Having been around since 1884, this award-winning historically significant religious building will no doubt leave you in awe. How to get there: Alight at Bugis MRT station via the East-West Line (EW12) or Downtown Line (DT14). 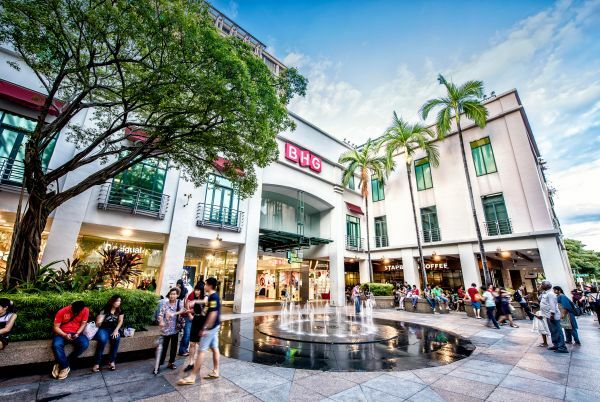 What to do there: Bugis is known to be a shopping hub, with malls such as Bugis Junction and Bugis+ located conveniently near the MRT. 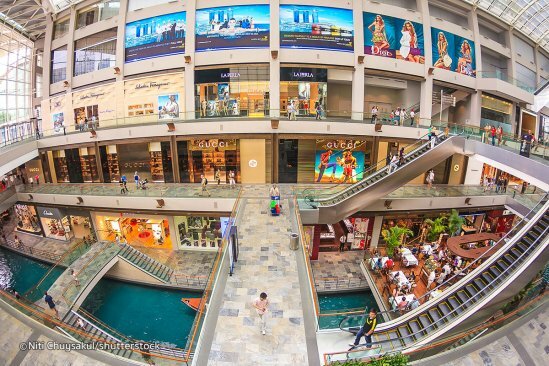 These malls provide you with up to 7 levels of stores from food and beverages to electronics and technology. There is also a dog café at the top level of Bugis+ and dog lovers can make a reservation on the We are The Furballs’s Facebook page. If you have spare time, walk towards National Library Board to visit Bras Basah Complex for a hint of Singapore’s nostalgic old school shops. This is the perfect place to buy second-hand books and appreciate art. How to get there: Alight at Bugis MRT station via the East-West Line (EW12) or Downtown Line (DT14) and take Exit C. Follow the crowd across the traffic junction on the right. 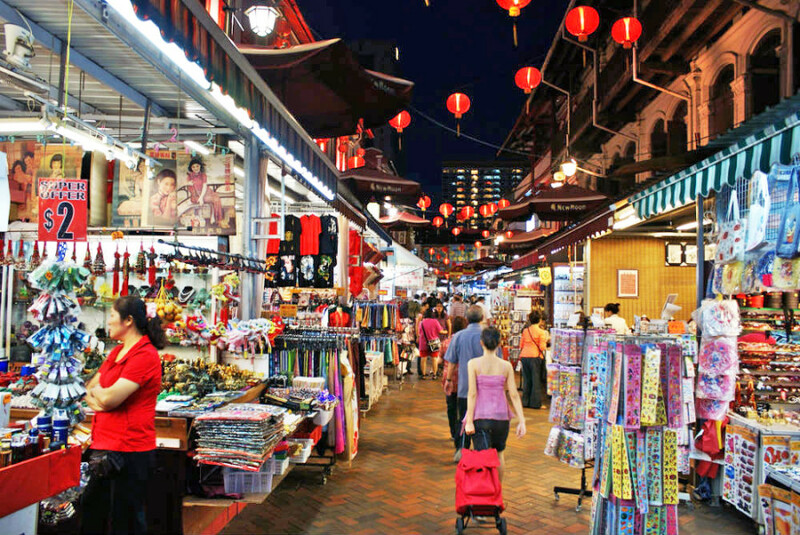 What to do there: Bugis Street is the largest shopping street in Singapore – it is a 3 level marketplace where you can haggle for cheaper prices. As you go up the levels, the clothes get more expensive, but the quality and designs get better as well. There is also a souvenir shop (Singapore Souvenir Centre) at level 1 that will give all tourists a free welcome gift if you flash your passport. Other than clothes, you will find drinks and street food stalls at level 1 as well. 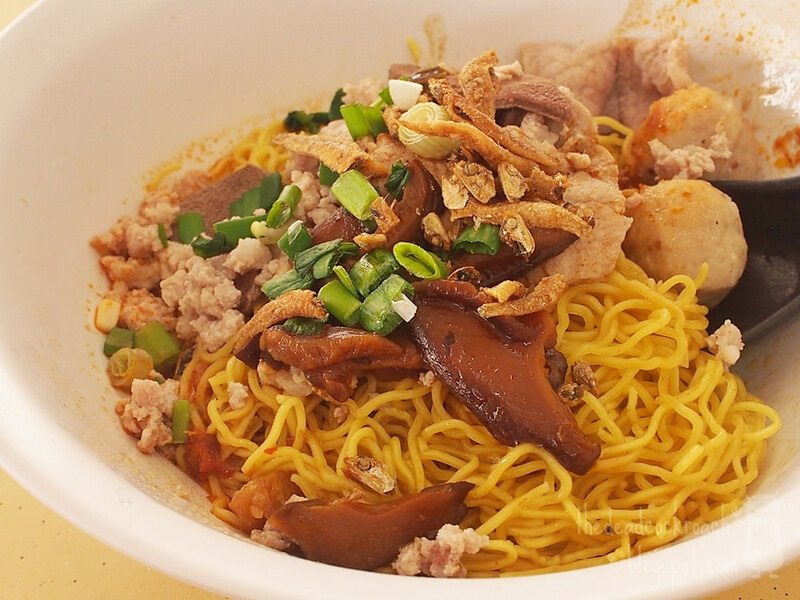 After you are satisfied with your shopping haul, head to Seng Huat Coffee House (4 minutes’ walk) for a taste of one of Singapore’s local favourites – Ba Chor Mee/minced meat noodle. This place has garnered many positive reviews from both locals and tourists and is sure to give you the fuel you need after a long day of walking. How to get to Lau Pat Sat Food Court: Alight at Raffles Place MRT via the East-West Line (EW14) or North-South Line (NS26) and take Exit A or Telok Ayer MRT via the Downtown Line (DT18) and take Exit C.
How to get to Adam Road Food Centre: Alight at Botanic Gardens MRT via the Downtown Line (DT9) and take Exit B or Circle Line (CC19) and take Exit A. How to get to Newton Food Centre: Alight at Newton MRT via the Downtown Line (DT11) and take Exit C or North-South Line (NS21) and take Exit B. 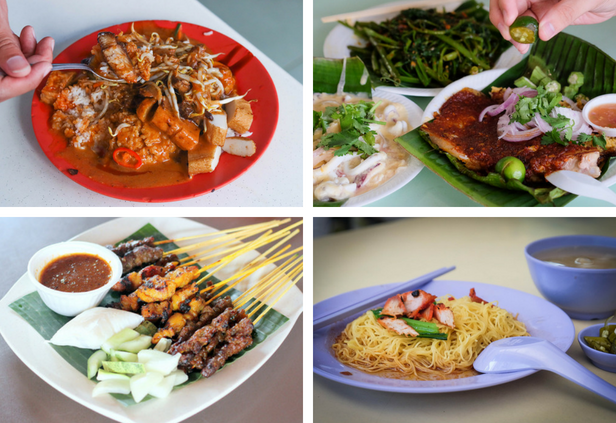 What to do there: Food courts and hawker centres are prime to Singapore’s history – these are outdoor places that have many food stalls ranging from local cuisine to popular dishes from other Asian countries. 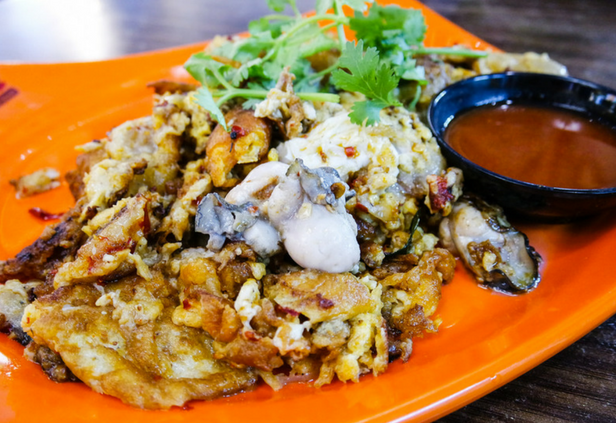 Lau Pat Sat Food Court, Adam Road Food Centre and Newton Food Centre are 3 of the many food courts which are famous for having affordable and delectable Singapore food specialities. What to do there: Yakun was established in 1944 and has since made its name in the food industry. 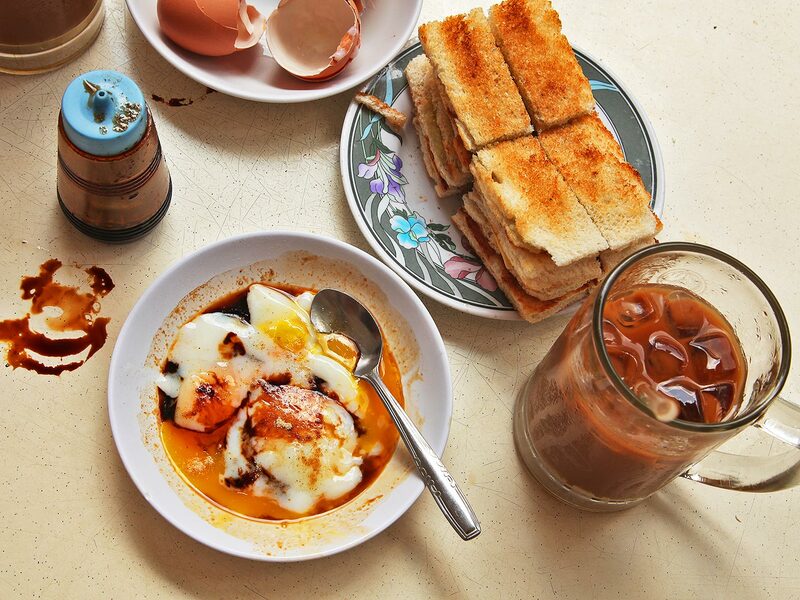 They are famous for their traditional kaya toast and soft boiled egg breakfast – a traditional breakfast in Singapore that you must try! 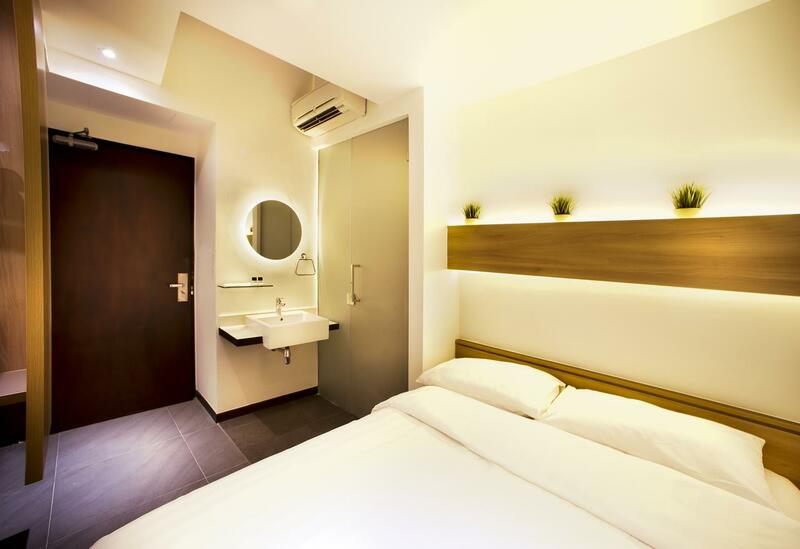 There are a total of 62 outlets spread across Singapore which makes them easily accessible wherever you are. Pasar malam is a Malay term that translates to “night market”, and therefore only opens for business during night time. There will usually be stalls that sell street food, electronics and even clothes. 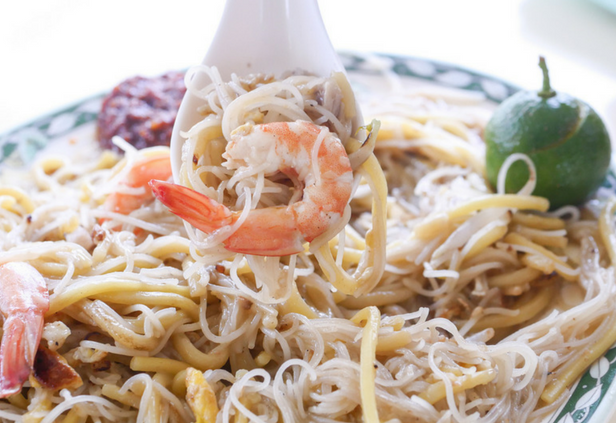 The atmosphere at a pasar malam is like no other, as you will see long queues at the best food stalls and people standing around to savour their buys. Unfortunately, while this may seem exciting, there are no official pages to inform people of these night market pop-ups. 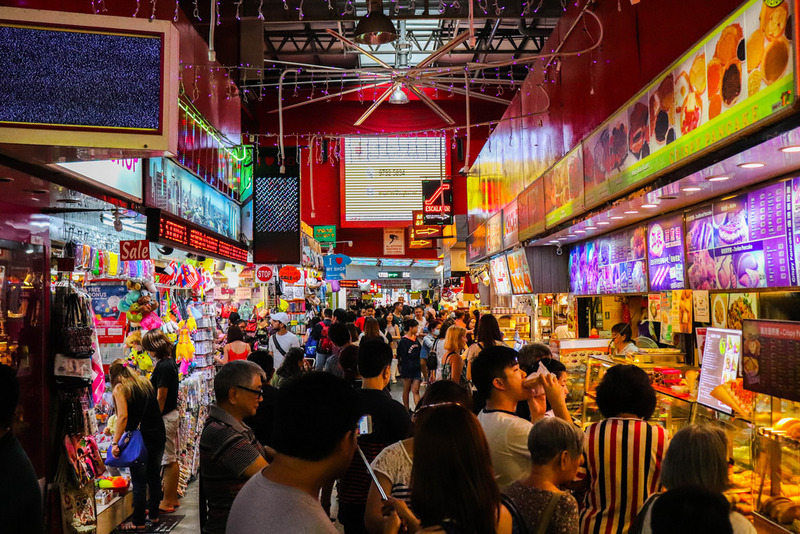 If you are keen on experiencing this first-hand, you can try to ask Singaporeans to find out if they know of any night markets being held now! What is it: Universal Studios Singapore (USS) is a theme park located at Resorts World Sentosa, with 24 rides, shows and attractions in 7 themed zones. 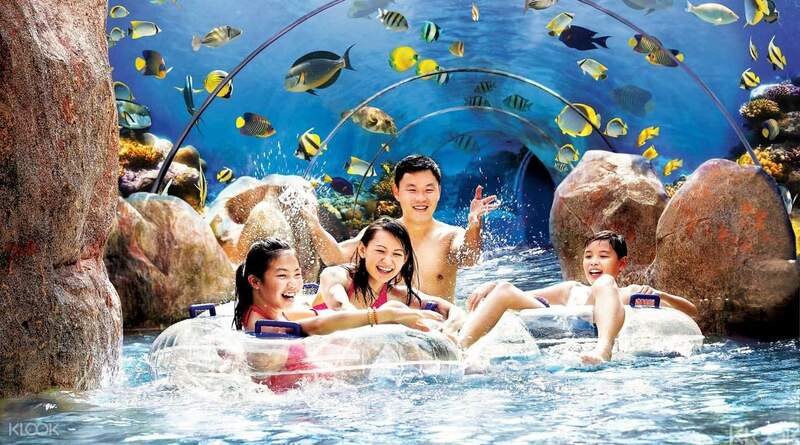 What is it: Adventure Cove is a waterpark with slides, a wave pool, and an aquarium. You can even get to snorkel here! What is it: S.E.A. 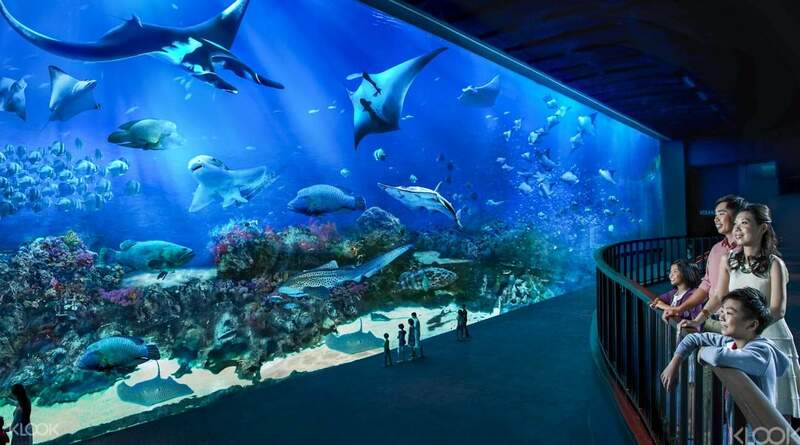 Aquarium is a large aquarium that houses over 1,000 marine life species across different habitats. 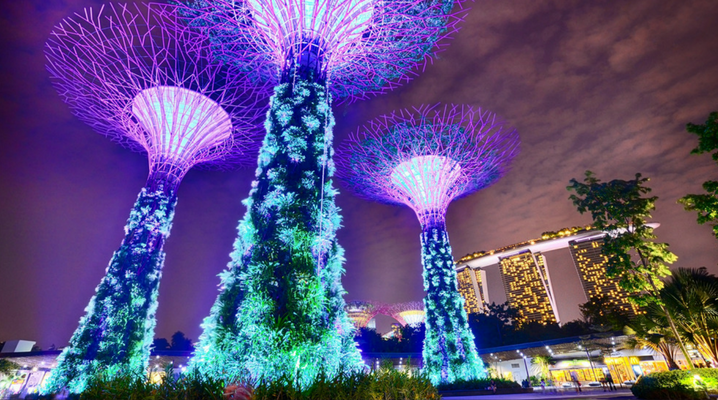 What is it: Gardens by the Bay is a 101 hectares garden that presents a myriad of plant species, ranging from species in cool, temperate climates to tropical forests and habitats. What is it: Admire Singapore’s gorgeous city skyline while floating in the world’s largest rooftop Infinity Pool at the 57th floor. What is it: The award-winning Singapore Zoo features an open concept which aims to simulate the natural habitat of 300 animal species. 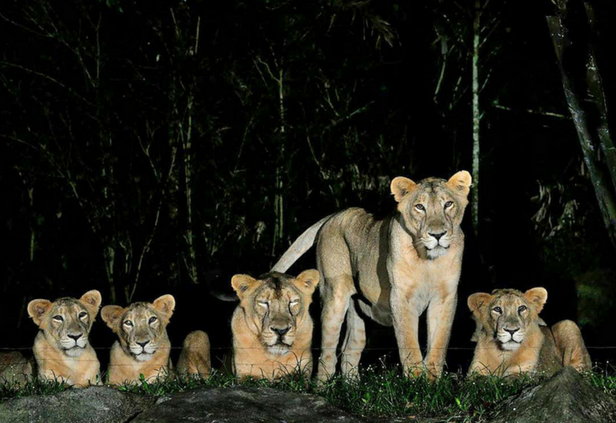 What is it: Being the world’s first nocturnal zoo, The Night Safari aims to promote biodiversity by focusing on the captive breeding of endangered species. 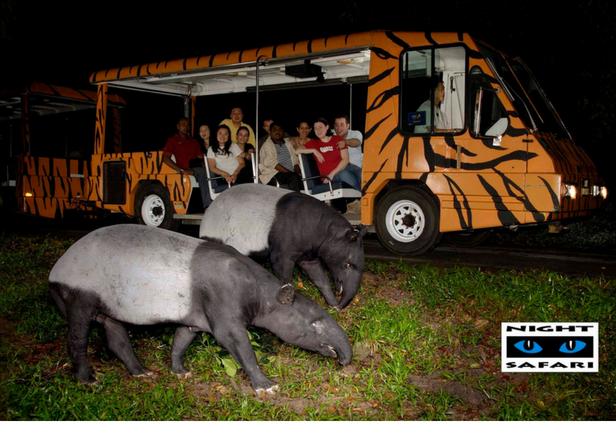 If you wish to visit more than 1 wildlife reserve while you are in Singapore, purchase the multi-park ParkHopper tickets to get discounts of up to 50%! 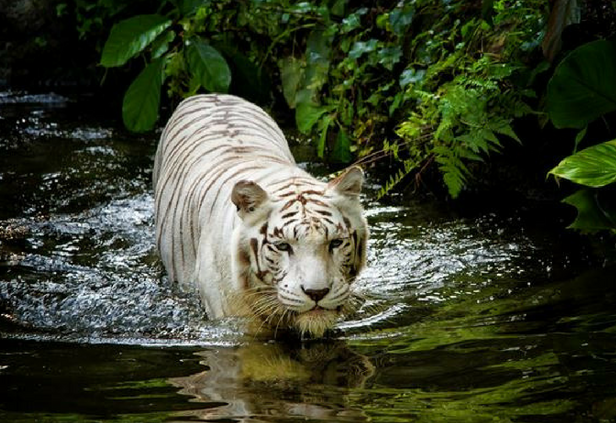 For more information, head to https://store.wrs.com.sg/ to take a look at the different wildlife reserves and packages available. The buses and trains (commonly known as MRT in Singapore) are easily accessible which makes public transport the most affordable choice when traveling around. You can buy transport passes (known as EZ-Link card) with a minimum top-up value, or a standard ticket at any train stations. There are many places where you can buy an EZ-Link card, including selected Transit Link Ticket Offices, Concession Card Replacement Offices and 7-Eleven stores. Cards cost at least S$10.00 with a certain amount of stored value for transport usage – the cost depends on the design and location you are making the purchase. The minimum top-up value for EZ-Link cards is S$10.00 and it is advisable to keep at least a S$3.00 balance in your card at all times in order to be able to commute smoothly. As for the standard ticket, it can be purchased at any upgraded General Ticketing Machine at MRT or Light Rail Transit (LRT) stations. When purchasing a standard ticket, the price of it will be the sum of a 10 cents deposit and the fare for traveling to your destination – this cost is dependent on the distance traveled, i.e. the further your destination is from the point where you are taking the MRT, the higher the fare will be. The deposit of 10 cents will be waived when the passenger takes a 3rd trip using the same card. This card is valid for up to 6 rides within 30 days from the day of purchase and your 6th ride will entitle you to a 10 cents discount. Here are more frequently asked questions about MRT standard tickets. With so many MRT lines to link Singapore from one end to another, the country is known to have one of the best and most efficient public transport systems in the world. However, even though Singapore is small and accessible, traveling by public transport may take up a lot of time if you wish to cover as much land in just 3 days. If you are only here for a short duration, we recommend booking a private vehicle to bring you around this sunny island. Renting a passenger van with driver can be a better choice if you have more than 5 pax traveling together. Hiring a passenger transport service will save you time and money if you divide the per hour rate with the number of people in total. During your visit to Singapore, it is worth considering to engage a professional chartered transport company with reliable drivers who will be able to bring you around more efficiently. As the prices for transportation services may vary based on a variety of factors, you can request for a quotation first before deciding whether to go ahead with it. *Prices may vary according to the time period and host website where booking is made. Singapore has grown so much as a country, and even as a travel destination. 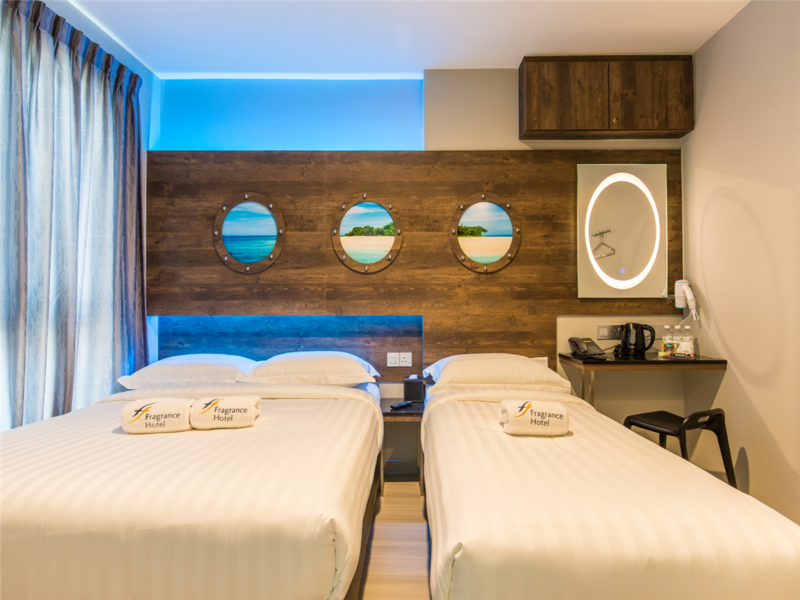 She has no doubt established herself in the tourism industry, giving many tourists an unforgettable time with the most comfortable accommodations, fascinating attractions and charming hospitality. 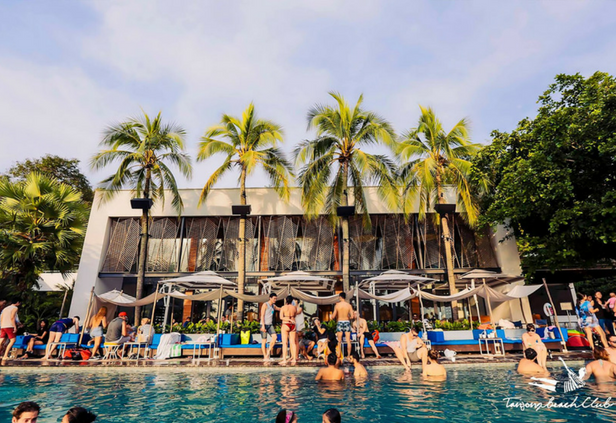 If you have been wondering how to save money while still having a blast in Singapore, we hope that this guide has been helpful for you. So what are you waiting for? 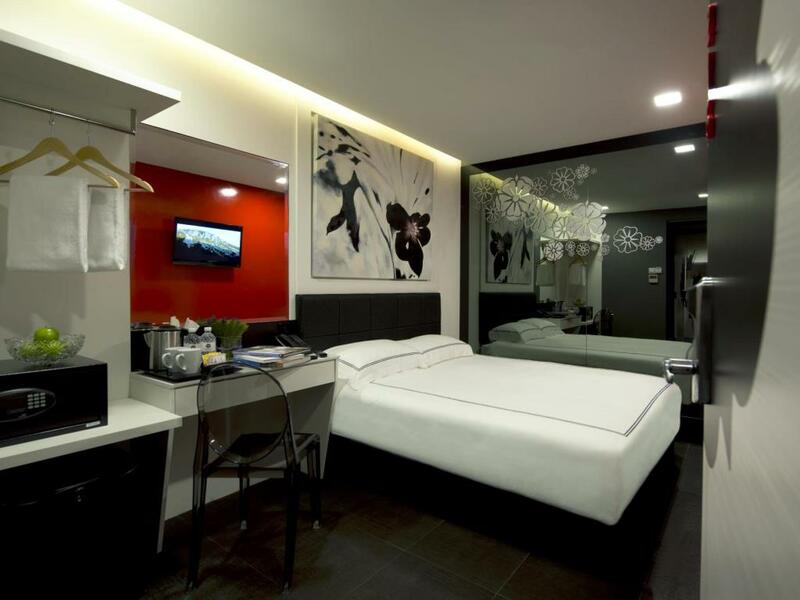 It’s time for you to plan your trip to Singapore now!